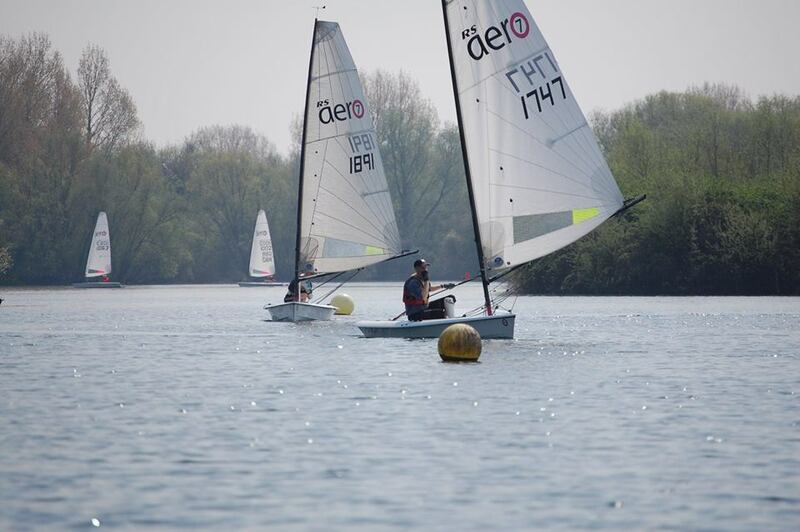 On Saturday 21st April Broadwater Sailing Club - a beautiful nature reserve between Uxbridge and Rickmansworth - held their third annual RS Aero Open Meeting. A lovelly sunny day and gentle breeze greeted competitors for the latest RS Aero innovation – the Broadwater Aero Pursuit Open. The format of each race was the Aero 5 rigs starting at ‘0:00’, the Aero 7 rigs starting at ‘plus 2 mins 30 secs’ and the Aero 9 rigs starting at ‘plus 4 mins 30 secs’ – with the finish as close to 46 mins 30 secs after ‘zero’. This was the first trial of the new format – and it received positive feedback from the competitors and led to some close finishes. A big thank you to the Race Officer, Dave Weatherhead for being adventurous enough to experiment with the new format. 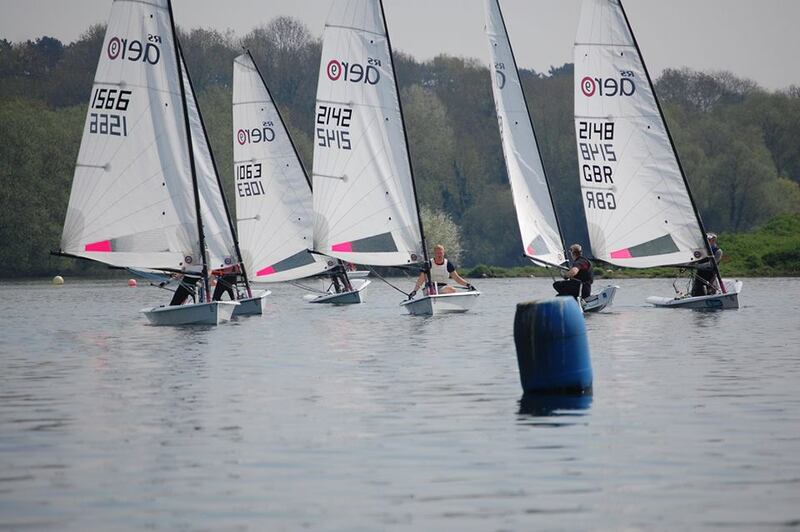 The advantages of a pursuit over a handicap race seem to be: less crowded (and less intimidating) start lines; class starts; the results of each race are known on the water; the slower boats felt more involved in the racing; no recording finish times for the PRO and the fun of the chase! On the day, the lighter winds encouraged the fleet into bigger rigs so it was just 7’s and 9’s racing, with equal numbers of each. In the first race it was Tim Hire (9) who took first place with a run away lead other the other 9s, followed by local Neil Parsloe (7), Gareth Griffiths (9), Andy Cooney (7) and Peter Barton (9). 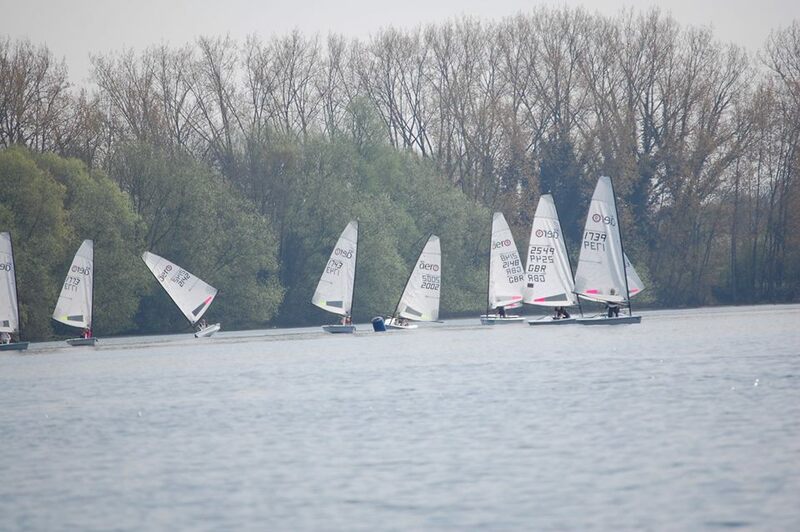 The second race turned out to be more tricky conditions with a wind which seemed to regularly drop and fill-in from alternating sides of the beat! 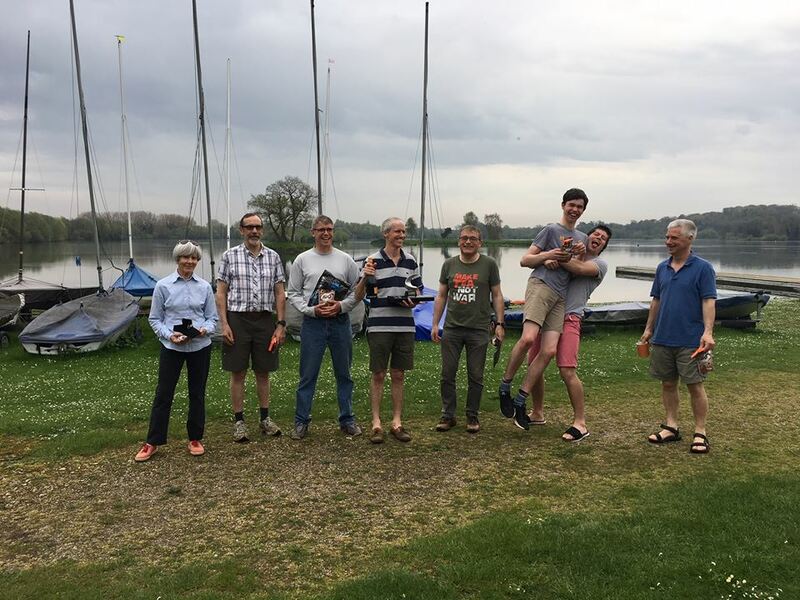 The results however still showed a good mix of rigs with Andy Cooney taking the honours in a close finish from Llewelyn Watkins (who hired Chris Parker – a local solo sailor – to do the difficult bit of actually sailing for that race), Peter Barton, Jane Hill (7), and David Cherrill (9). The fleet then retired to the clubhouse for the legendary Broadwater lunch (thanks Jane, Janice, and Helen! ), while the wind got up and blew the strongest it had been all day! The stage was set for a final race showdown as with no one having dominated both the first two races the door was still wide open for the overall win with seven sailors still in with a chance! For the final race a few extra buoys were added to the course with the aim of adding an extra beat. Unfortunately, the wind had other ideas and found we’d added an extra close reach instead. It also dropped slightly for the Aero 7 start giving the 9 rigs a boost. The result was that the nine rigs took first (David Cherrill), second (Peter Barton), third (Gareth Griffiths), and fourth (Greg Bartlett), with Andy Cooney narrowly holding on to 5th place by closely covering Tim Hire and taking the overall title with the top 4 split by 1 point!